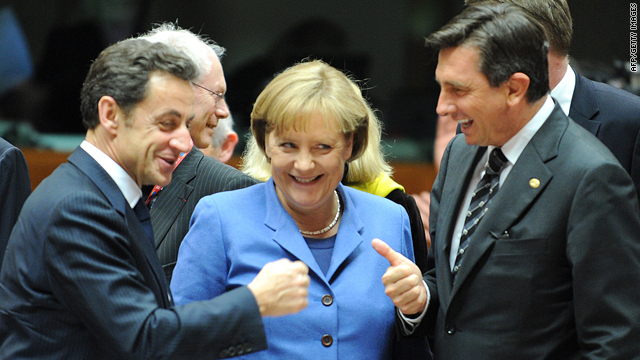 French President Nicolas Sarkozy, left, German Chancellor Angela Merkel and Sloven Prime Minister Borut Pahor gesture prior to a working session of an European Union summit at the European Council headquarters on March 25, 2010 in Brussels. (CNN) -- French President Nicolas Sarkozy said Thursday that he and German Chancellor Angela Merkel agree on how to handle Europe's financial woes. "I told Angela Merkel ... that we cannot have disagreements between Germany and France about subjects of this importance," he told reporters during a joint news conference with British Prime Minister David Cameron at the Elysee Palace. Sarkozy said he and Merkel were doing everything possible to work in harmony. "We do everything so that we don't have disagreements together," he said. "That's why we talk together." Sarkozy said he was "happy to work hand in hand" with Cameron, who was in Paris on his first visit abroad as prime minister. For his part, Cameron said, "I think we were right not to join the euro and I think we're right to stay out of the euro." But, noting that 60 percent of Britain's trade is with Europe, he said it is in Britain's interest that the "eurozone" economies recover and that the euro succeed. Sarkozy stood up for the currency. "I'm among those who believe that, united, one is stronger than isolated," he said. "It's a political choice." He called the euro a success, noting that "in a little time, it has become the world's second currency." 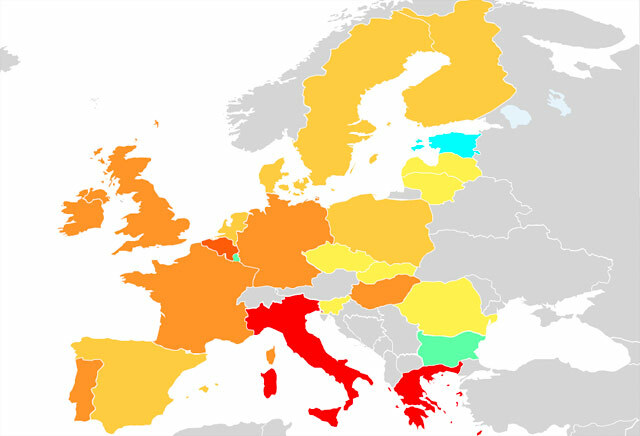 Cameron called for the European Union to address its budget deficits. "This is not an alternative to economic growth; we think it's an important part of getting that economic growth," he said. "The greatest risk, I believe, to our economies is inaction on our deficits."